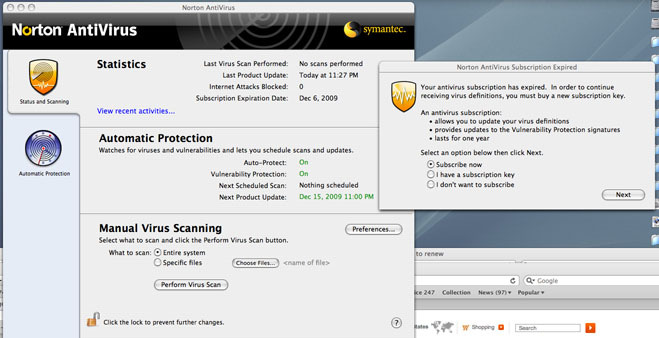 3.I CONSTANTLY HAVE A WARNING YOUR ANTIVIRUS SUBSCRIPTION HAS EXPIRED. Have you checked that the date and time are correct on your PC. Yes the date and time are ok, and still I got a message. Please tell us how it goes.